Surfing at Cinnamon Dhonveli – Pasta Point surf break and the Maldives surf transfer boats are for Atoll Adventures’ clients only. Cinnamon Dhonveli – Leading Maldives Surf Resort in South Asia Region again in 2018! That’s three years in a row for Cinnamon Dhonveli at the South Asian Travel Awards . Silver: Best surf resort in Maldives. Gold: Best surf resort in South Asia. Cinnamon Dhonveli (Pasta Point) Maldives is a small and beautiful tropical island resort in the Maldives. Offering exclusive access to the classic Pasta Point surf break, Cinnamon Dhonveli Maldives is the only holiday resort with a program designed especially for surfers by Atoll Adventures, the most experienced and professional surf operator in the Maldives. With unrivaled local knowledge of Maldives surf and boats available on demand, you’ll get on the best waves going. Surfing at Pasta Point and the surf transfer boats are for Atoll Adventures’ clients only. IMPORTANT: Please note that all surfers and companions booking to Cinnamon Dhonveli must be booked on the Atoll Adventures surfing package which includes airport transfers; accommodation; full board; surf transfers; other activities and Maldives taxes. Bookings can only be made through Atoll Travel P/L or one of its accredited agents. In 1991 Atoll Adventures’ founder the late Tony Hussein Hinde selected the little resort on Kanuoiy Huraa island in North Male Atoll as the location to establish the Maldives first land based surf tour. It was chosen for one reason…….it’s simply the best location for surfers with the quality and consistency of Pasta Point and the proximity to three other world class waves. 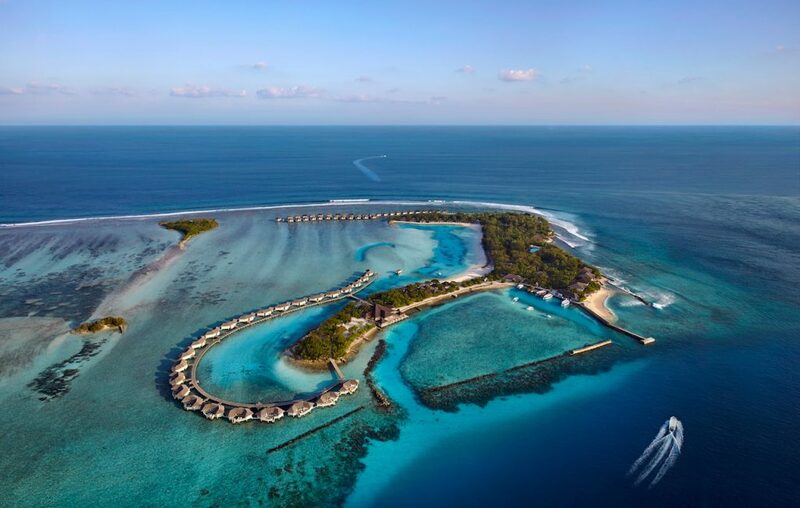 Much has changed; the old Tari Village resort became the luxurious Cinnamon Dhonveli Maldives and Atoll Adventures became the most exclusive and comprehensive surfing operation in the Maldives maintaining the highest standards of service and sustainability. Pasta Point, the region’s most consistent break, is just a minute’s walk from your room. Other classic breaks – Sultans, Honky’s and Jailbreak – are less than ten minutes away by boat. You can see the waves from the resort, so you’ll know when they’re pumping. When conditions are favourable, try Chickens and Colas (about 45 minutes away) – boats are available all day from 5.30am. (see Maldives Surf and Pasta Point Instagram for daily surf updates). Maximum of only 30 surfers on island with exclusive access to Pasta Point. Pasta Point the most consistent break and best wave if smaller swell. Closest resort to the other prime breaks of Sultans (R), Honky’s (L) & Jailbreak (R) all within 10 minutes by boat. Unlimited surf transfers to the regional breaks included. First boat to Sultans departs at 5.30am to be first in the water. All surf transfer boats and guides with walkie-talkie communication for coordinating quick access to breaks. Operations Manager, Dara with 20 years’ experience. ISA accredited Maldivian surf guides. Perfect for just the boys or with partners & children. Perfect for all abilities of surfers. Flexible arrival/departure days to suit all itineraries. Every surf traveller should experience the uncrowded, consistent and perfect waves of the renowned Pasta Point while enjoying the comforts, service and sensational food of the four star Cinnamon Dhonveli Maldives resort. Garden Bungalows are the most popular choice for surfers. These two-storey units have a king size bed and balcony up on a mezzanine level, and spacious sitting room with an extra bed (or day bed) downstairs, and a stylish, fully tiled bathroom. Beach Bungalows face the lagoon, and are beautifully finished with tropical timbers and textured walls. They feature a king-size bed and an open-air bathroom with shower and tub in a private tropical garden. There’s plenty of space for an extra bed for family holidays. Water Bungalows are built over the water inside the reef, with views of the waves and the Pasta Point break just a short stroll away – wake up to the sound of the surf! Water Bungalows feature a spa bath and private sun deck. Over Water Suites, above the lagoon, have a wide outdoor deck with private sun lounges and steps down to the water. The romantic bedroom features king-sized bed, en suite bathroom and personal spa bath. A separate living room features a divan/day bed, TV, and entertainment system. Discover Maldivian village life on an Island-Hopping Tour, or visit the main island of Male on a Shopping-Sightseeing Trip – just book at the resort (extra charge applies). The resort’s own dive operator conducts Scuba Diving courses and runs daily trips to some of the best dive sites in the Maldives. The Chavana Spa offers a range of health and beauty treatments – for surfers we especially recommend the Muscle Ease massage. If you can’t bring your own board, or you can’t face the hassle, Atoll Adventures Surfboard Hire offers a range of Surftech, Tuflite & NSP surfboards for hire at very reasonable rates. Guests are met on arrival at the Maldives international airport, and transferred by speed boat to Cinnamon Dhonveli, 30 minutes away. Staff are on hand to assist with surfboards, luggage and any other equipment. At the end your holiday, the resort’s boat will have you back at the airport in plenty of time for your return flight. Atoll Travel holiday packages to Cinnamon Dhonveli Maldives include airport transfers by speedboat, accommodation, all meals (soft drinks, tea and coffee with meals), unlimited boat trips to the Maldives surf breaks in North Male’ Atoll, surf guides and snorkeling trips.